Organic SEO allows your brand to gain visibility and avoid penalties by adhering to strict Google Organic Search Engine Optimization (SEO) webmaster guidelines for natural search optimization. Webspand has scientifically analyzed Google’s “best” practices for almost 2 decades. We inspected Matt Cutts’s Video Blog posts, Rand Fishkin’s SEOMoz Whiteboard Fridays, Eric Ward’s Link Moses Private and countless other white-hat SEO experts for techniques and Organic SEO strategies that were ethical and effective in driving Search Engine rankings. 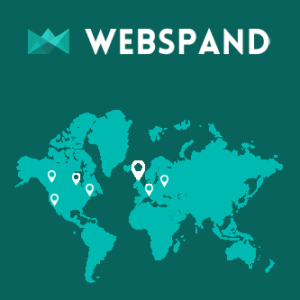 When you decide to move forward with Webspand the best organic SEO company you can expect to see impactful rankings improvements within weeks of the commencement of your engagement. Not only do our organic SEO services improve visibility they are ethical and last for years. You can choose between keyword based, link metrics or rankings focused organic SEO packages. We offer natural SEO service programs that begin at $1,000 a month and provide fast visibility lifts for 3-4 main keyword phrases, that are perfect for national brands, services and start-ups. Know exactly what keywords you need to rank for ? Find out how long until you rank #1 on Google. It all starts with the talent. We like to hire Search Engine Optimization artists with rich e-commerce experience portfolios that think outside of the box. We only match the best and brightest that digital marketing has to offer with your needs to create amazing SEO strategies that drive increases in revenue. Rather than focusing on a set of fixed strategies and deliverables we give creative freedom to these expert SEO rock stars to perform the tasks that they think are best for your brand right-now. 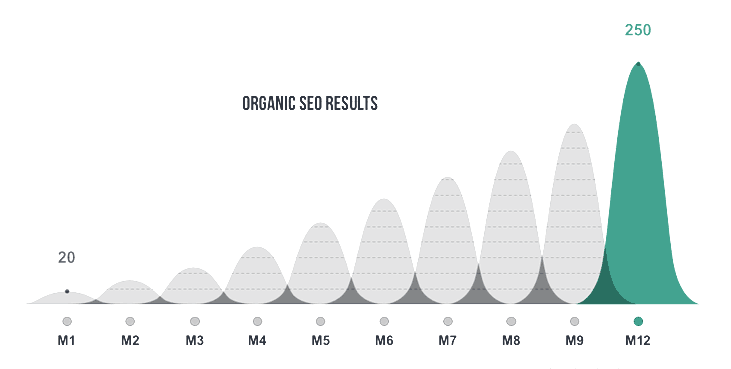 Our organic SEO is truly natural and often times is more effective than most other “expert” SEO results. Each SEO strategist has a unique background that taught them what works best for their knowledge set. You see someone whom spent 10 years performing Real Estate SEO will have different techniques or methods of attaining desired ranking results than say an intern at a professional link building agency. We like to leverage this for you by pairing your campaign with someone that is familiar with how to succeed in your vertical. This is where most companies get it wrong. Having worked at many “enterprise SEO agencies” we have seen it over and over. They make one cost effective SEO strategy and farm it out to everyone. That’s dull, boring and guess what… not organic and Google knows it. Webspand is different in everything we do even down to how we define natural SEO. We perceive natural search engine optimization to be a real person with a real purpose, adding continual value to a digital asset or online experience. The techniques we deem valuable are observed from the point of view of user need and desire FULLMENT with computer grade understanding of what a search engine requires and how it must digest the content from your website. We are experts at letting Google know your content is the solution to the problems their searches seek. SEO around here is viewed as a continual and hands-on manual optimization process that never stops seeking to improve and attain higher visibility. Our organic SEO strategy is the perfect balance between process and thoughtful creation which allows your SEO strategist to paint a story that both Google and visitors crave to engage with. Each day your campaign is moved forward as your analysist compares performance metrics like impressions, clicks, interaction, rankings and lead tracking. To identify the most valuable optimizations they should make based on real time results. Most SEO companies perform a 1 SEO audit, and optimize a few tags and images on 1 pass. We view everything as an experience and optimize around how better to do develop a relationship with your customers all while striving to attain top rankings for our desired keywords based on what is working right now. The big secret is we are always working on your site. Our continual and consistent optimization allows Google to know that yes there is a real person that cares about this content and it is worthy for their traffic. We have found the correlation to momentum based optimization with higher rankings to be astronomical compared to quick and dirty passed just to fill out a deliverable. It is simple, Easy and almost no one on the planet does it because they view SEO as one and done as do most folks consider all work tasks. I learned years ago that by just doing small incremental changes every few days and every week, and every month I win…EVERY TIME! The problem is change, Google always changes and if a site mimics this change with changes of its own I have yet to find a competitor that can surpass our abilities with other more common SEO strategies and tactics. 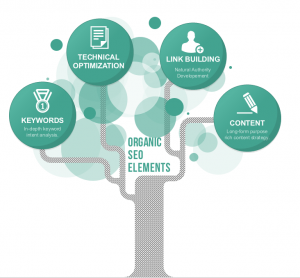 What you need to know about Organic SEO. Can you harm SEO efforts? Yes. While often times little changes mean nothing or are caught and fixed for you it is possible to undo SEO work. The best rule of thumb is to try to add more than you delete and always increase the user experience. If you follow those rules you will never interfere with the SEO process. One hire one company at a time. It is possible you may be one to undo the others work and vice versa. These are the major signifiers of what content is about on a webpage. If you change this you tell Google things have changed. Will mild changes are fine consider the words you remove or add. Avoid interfering with the location of your targeted keywords. In fact, most times the introduction of outside SEO strategy that is not in our organic plans can harm our effectiveness. Long ago we identified the best waves to catch and only catch those. As you know, it takes years to know if a strategy really works. Not months or a couple of updates. This is because everything you perform with optimization and Google effects everything else that we may… or may not, be aware of. Our products work because the strategies take time to create and are protected, we opt to not break what works if you know what I mean. Does this mean that we never try to improve our process and strategy? Hardly, we operate over 300 niche specific e-commerce and lead generation websites for the sole purpose of monitoring and testing our SEO hypothesis. We take great care and only test things on non-client facing sites for years before it passes snuff on our true Organic SEO strategy.